• MAX Yield SMPS Power System™ - generates up to 800 WATTS! 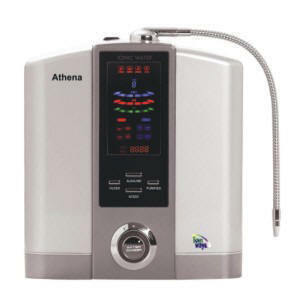 If you are looking for the most powerful alkaline water ionizer in the USA, you have found it. 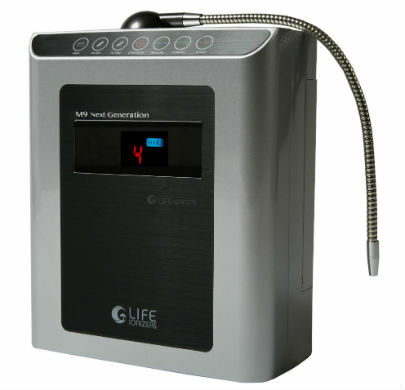 The LIFE M11 Next Generation Alkaline Water Ionizer is the most powerful water ionizer available for sale in the USA. 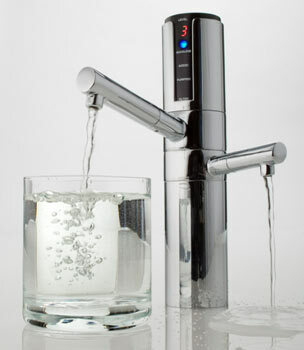 That's right folks, we are not aware of any other water ionizer that can generate 800 watts of power. This is incredible. At the heart of this system is a sophisticated MAX Yield SMPS Power System. This is no doubt the reason the M11 is equipped with a cooling system which is a first for water ionizer. All this working together 11 of what LIFE calls MAX Plates™ which are newer and larger Titanium plates with a heavy coat of platinum. The M11 is regarded are a residential model but it clearly can be used in restaurant or spa. Now even though the M11 is the most powerful water ionizer it cost less than the 7 plate Kangen Leveluk SD501 which only has a 5 year warranty. The M11 Next Generation comes with lifetime warranty for both parts and labor. That is incredible folks. If time is of the essence and you simply must drink the most powerful and effective alkaline water available with tons of antioxidant potential (negative ORP) then get the M11 Next Generation! There is more. 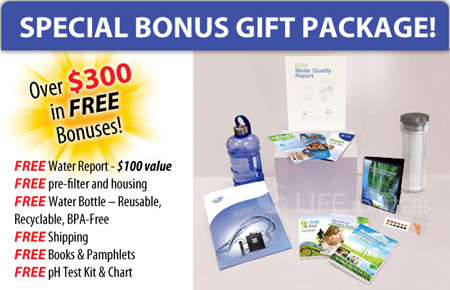 As with all LIFE water ionizers a Free water report is produced and used to craft a Free customized pre-filter system! Life ionizer is also the only major water ionizer brand that offers options such as UV light for bacteria reduction, and Energy Frequency Technology. You might also want the option to later purchase the under counter faucet and install it as an under counter model. All in all you get a really great value with the LIFE M11 Next Generation ionizer. These videos are provided to help you understand how this models works. When videos for the M11 is available the M9 videos will be updated. Special feature Adjusts up to 800 Watts of power! • Fully Adjustable Power: Up to 500 Watts ionizing power gives you the best pH and -ORP from your particular water source. • Max Yield SMPS power supply provides more power, greater efficiency, and ultimate durability. That's why the LIFE M11C comes with a lifetime guarantee on parts and labor! • Vitamin C Ceramic Block™ Filtration technology (patent pending) – exclusive to Life Ionizers. 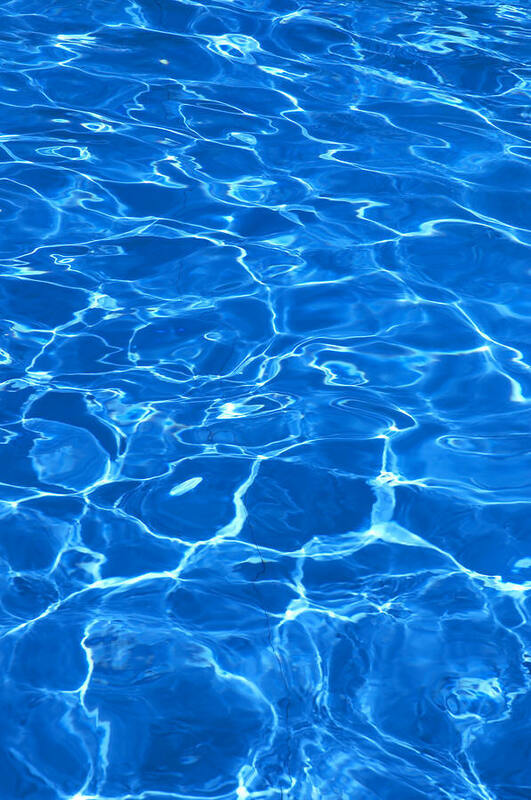 BENEFIT: ultimate filtration technology for chlorine & chloramines reduction. • Reverse Action Dual Cleaning (RADC) (patent pending) fully automated system cleaning technology – unlike lesser ionizers; you never have to wait for your alkaline water! The RADC system along with our citric acid cleaning cartridges protects your investment from some of the effects of hard water. • 11 Max Plates: These are ultra-platinum coated titanium electrodes, along with the high powered SMPS power system and MESH plates deliver more power per square inch than any other electrode on the market. The Max plates found in the LIFE M11 has more Platinum! .75 micron thick coating of platinum, the thickest coating in the industry, means Life Ionizers last longer and allows us to provide a lifetime warranty! • Automated self-diagnostic system maintains peak ionizer performance. • Widest range of pH and ORP selections when using our Life Acid Supplement. • Fully Convertible: The LIFE Next Generation M11 can be converted to being an under-the-counter ionizer with the purchase of our attractive real stainless steel faucet system - a high grade stainless steel faucet which compares to most other companies which use fake "stainless steel" that is actually a plastic coating. • Easy to read and use touch screen controls with voice prompt. To get the best ionization performance, you need the right combination of power, electrodes, and technology. LIFE Ionizers M11C packs a lot of power, and offers you the choice of flat electrodes or optional MESH, which can increase the pH and ORP performance of an ionizer by up to 15%. Many Ionizer manufacturers encountered problems with units over heating after continuous use. The problem was traced to the transformer type power supply employed by some manufacturers. This lead many companies to look for a non-transformer technology which lead to the adaptation of SMPS. LIFE Ionizers™ are powered by SMPS, now considered to be the most advanced power supply available today—the same kind of power supply used to preserve the longevity of delicate electronic equipment such as HDTVs. This advanced system is known as switched-mode power supply (SMPS). The New 2014 LIFE Next Generation M-11 is the high-end ionizer that gives top-of-the-line performance! When you buy the LIFE Next Generation M11 you can be assured that you are getting the most powerful residential model available as of this date in 2013. 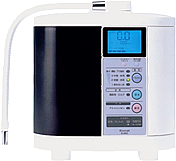 It is no doubt a better option than the Kangen Water® machine and it comes with a much better warranty. The Next Generation M-11 has the MAX Yield power you need to deliver the antioxidant potential of alkaline water at the pH levels you want faster than other machines. According to health experts, essential minerals like calcium and magnesium are 30% easier to absorb from drinking water than they are from food*. Minerals in water are good for your health. Calcium helps build and maintain healthy bones, magnesium also helps build and maintain a healthy immune system. LIFE Ionizers makes your water healthier by filtering out toxins and raising the pH and –ORP potential. The result is the healthiest, freshest tasting glass of water you ever drank, as fresh as a mountain spring. Ultraviolet germicidal irradiation (UVGI) is a disinfection method that uses ultraviolet (UV) light at sufficiently short wavelength to kill microorganisms. It is used in a variety of applications, such as food, air and water purification. UVGI utilises short-wavelength ultraviolet radiation (UV-C) that is harmful to microorganisms. It is effective in destroying the nucleic acids in these organisms so that their DNA is disrupted by the UV radiation, leaving them unable to perform vital cellular functions.